in Char­ing Cross Rd in London…“Tin Pan Alley”. 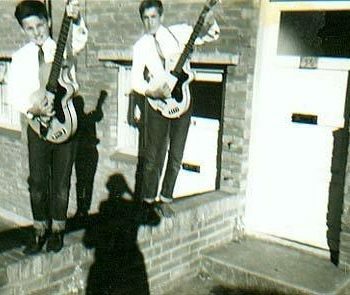 Our first gig was at school and the kids went wild…even though we both played through one amp, and only knew a cou­ple of tunes. It sowed a seed when I saw Joyce Goram and Dei­dre Bray wait­ing for us in the wings as we left the stage…this band thing has pos­si­bil­i­ties. It was basi­cal­ly South Lon­don. We all went off in our dif­fer­ent direc­tions as pro­fes­sion­al musi­cians. 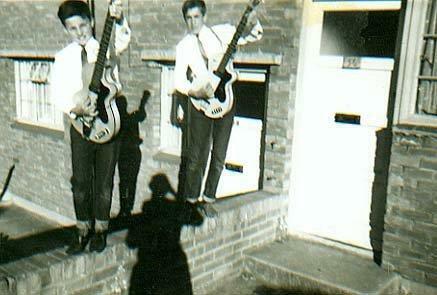 Me in 1964.